Can The FitQuick Mini Exercise Bike Help With Fitness And Mobility? 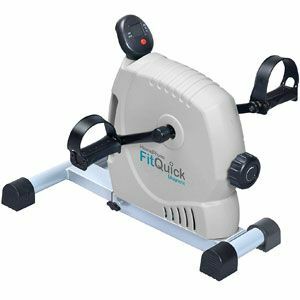 Under-desk exercise machines are a great tool for the less able, and the FitQuick Mini Exercise Bike aims to offer plenty of health benefits. Some products are small and compact and offer little more than basic movement. This model is bigger, tougher and designed to help users with different healthcare and rehabilitation needs. It looks like it should be built for the job. But, is it able to help users as described? The Pros and Cons of this FitQuick Mini Exercise Bike. 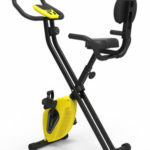 Users can get a lot out of this FitQuick Mini Magnetic Exercise Bike, despite its basic features and design. This exercise machine doesn’t do a lot, but it does have the build and motion that users need for simple exercise. The product uses magnetic resistance to help users tone their leg muscles, achieve greater mobility and improve circulation. This quiet system is smooth and effective. It also has secure loops over the pedals to stop feet from slipping, as well as a small console on the top that displays user progress. There are some mixed reviews about the effectiveness of this product. There are some that say that this system works great and does precisely what they need it to do. The gentle motion and adjustable resistance allow for simple progression and improved mobility. Some also point out that there is potential for a good arm workout too. Then there are those that are yet to see any noticeable improvement. The results achieved often relate to the effort put in. For some, it may take a little longer to reach their goals. There are some small issues with this FitQuick Mini Magnetic Resistance Bike that could be corrected in future models. Aside from the results, there are two clear issues to keep in mind with this product. The first is the quality of the instructions. The idea is that users can just pedal away at their own pace, with no need for complex workouts or instructions. However, some new users would like more guidance on how best to use the product and set up their sessions. It should also be noted that while the product comes with a non-slip mat, this is also the thing that many consumers buy along with the product. This shows that the one in the box isn’t quite stable enough. Some users prefer to brace the machine against a wall for added security. Does this mean that the FitQuick Under-desk Bike is still recommendable? There are some aspects to this product that FitQuick could improve upon with future model. It wouldn’t take much to improve the mat or add some more instructions into the manual. Still, these issues are minor and there are still plenty of users seeing the benefits of this model. This system is a little tougher and more advantageous than some basic under-desk models. Therefore, this FitQuick bike is indeed recommendable because there is that true potential for improved health and fitness. 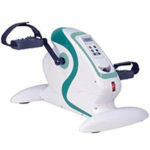 Find more reviews about the FitQuick Mini Exercise Bike on Amazon here.